The 13th century fort - Devarakonda Fort built during the reign of Padma Nayaka - the Velama Kings, stands in ruin on top of a hill. Though lying in ruins, Devarakonda fort still gives glimpses of the architectural marvel that it must have been in its time. It is located in Devarakonda town in the region of Nalgonda in Telangana. The fort is bordered by seven hills and is a place of archeological importance. For people who love to travel around the chronicles of the state, then the Devarakonda Fort is a must visit. A stopover into this extravagant fort is like stepping into a historical dream with every corner of the fort unveiling the great story of bravery, of struggles and of the victory of its rulers. In the grounds of fort stand the Rama and Shiva temples was constructed by Maada Naidu. These temples add a hint of religion and purity to the untouched splendor of the fort. There is even a little pond and a temple inside the fort. 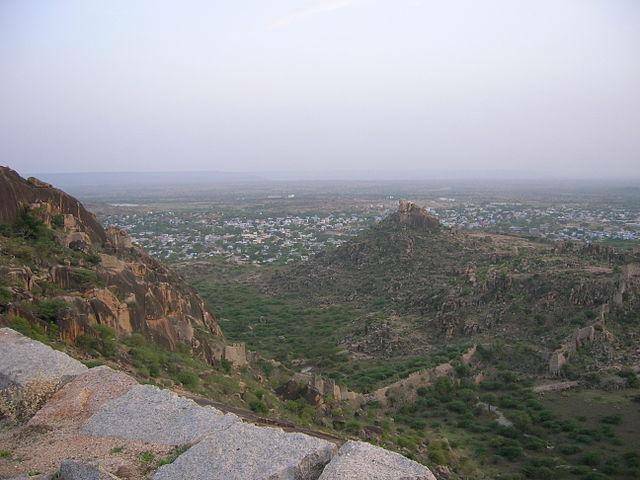 Fort is surrounded by seven hills, and trek to the fort early morning is a great experience. The government of newly formed Telangana has decided to give a facelift to the fort. Devarakonda is about 3 hours’ drive from Hyderabad.